Knoll's agreement to acquire Richard Schultz Design will be finalized by March 1. 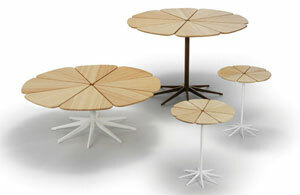 This Petal Collection is among the outdoor furniture company's offerings. Photo by Richard Schultz Design Inc.
EAST GREENVILLE, PA — Knoll Inc. announced it has agreed to acquire outdoor furniture manufacturer Richard Schultz Design Inc. The acquisition is expected to close by March 1. Based in Palm, PA, Richard Schultz Design offers a variety of outdoor furniture collections for the residential, hospitality and contract furniture markets, including the 1966 Collection and Petal Collection which features tops made of eight wood petals mounted on cast aluminum spider. Richard Schultz was a designer at Knoll prior to founding the company in 1992 with his son, Peter. Also on Feb. 7, Knoll announced that it had acquired FilzFelt, suppliers of German milled 100-percent wool design felt, as well as felt floor coverings and architectural applications. According to a release by Knoll, FilzFelt founders Kelly Smith and Traci Roloff will continue with their executive roles at the Boston, MA-based company. In announcing the acquisitions, Knoll CEO Andrew Cogan noted that the contract furniture manufacturer has "made significant progress in putting in place robust strategies to improve the profitability of our core Office business while simultaneously investing in our high margin, high design content Specialty platform. The acquisitions we are announcing today of FilzFelt and Ricahrd Schultz Design will serve to strengthen the portfolio of products that we can offer architects and designers and consumers through our Specialty business." Founded in 1938, Knoll has four manufacturing sites in North America: East Greenville, PA; Grand Rapids and Muskegon, MI; and Toronto, ON. In addition, the company operates plants in Foligno and Graffignana, Italy. According to the company, all Knoll manufacturing facilities in North America are ISO 14001-certified. The company's products are sold through a network of more than 300 dealers and 100 showrooms and regional offices throughout North America. 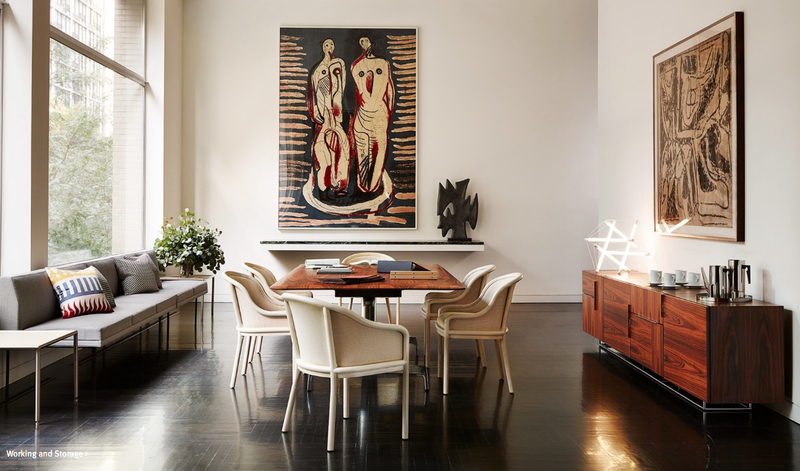 Knoll also has showrooms and dealers in Europe, Asia and Latin America.